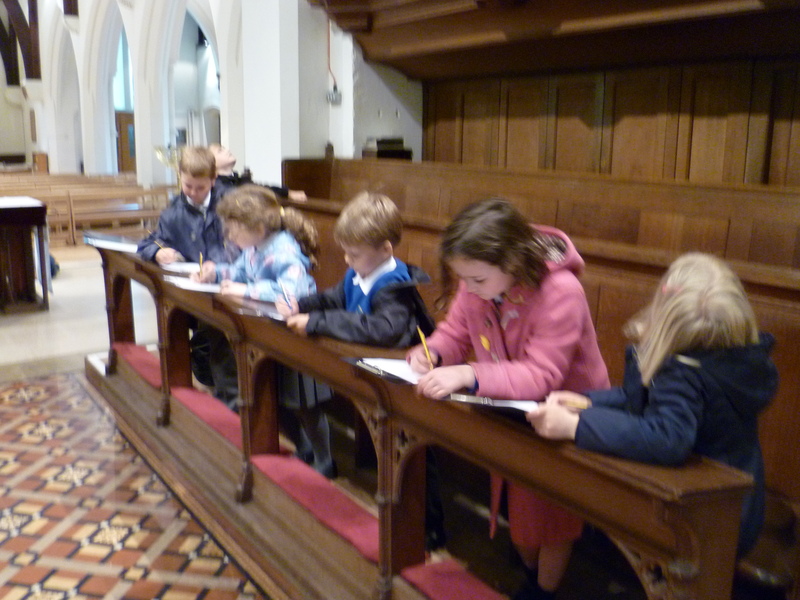 We are a church school, closely linked to St John’s Church. As a church school we aim to use Christian teaching in all areas of the curriculum and provide an ethos which is caring and respects each child as a unique creation of God. 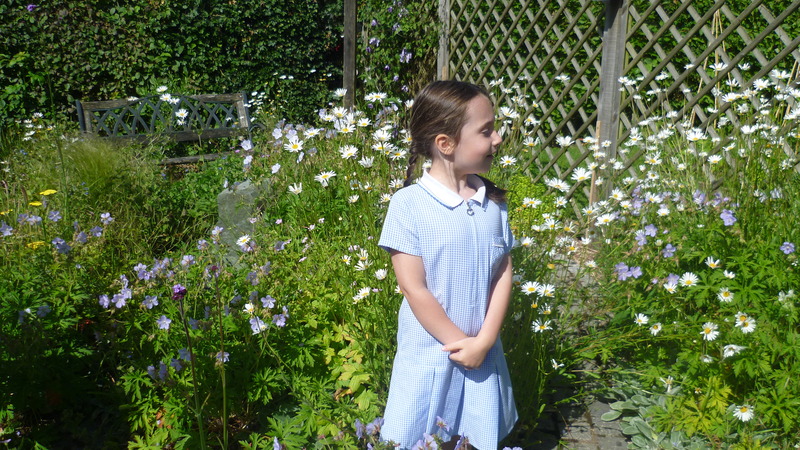 Our Christian ethos at Farncombe informs all that we do and is the basis through which we ensure that we educate the whole child and ensure spiritual and academic progress. We have clear assembly and worship planning which enables staff to plan for links to other areas of the curriculum and plan for special times and events. Children are given time for reflection and are encouraged to see the joy and wonder of the world. During special events and Pause Days, children listen to a Bible story and reflect on the meanings in the story, responding through painting, drawing or making. This gives children time to stop and think and develop their own questioning skills. 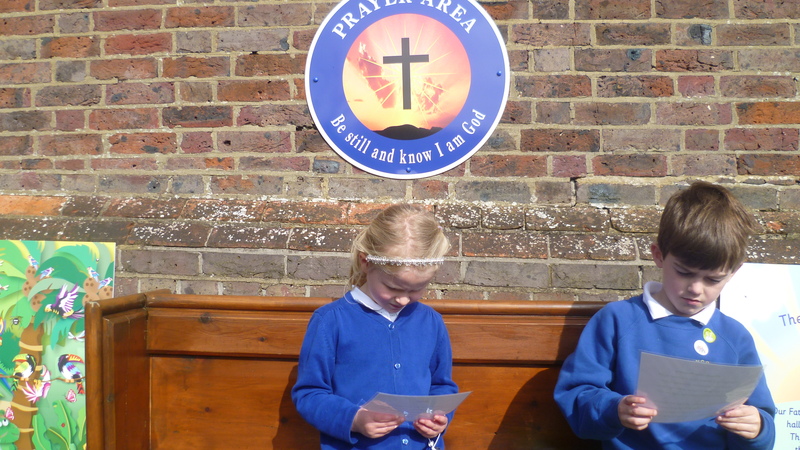 Our prayer area in the school garden provides further opportunities for contemplation and personal prayers. Whole school assemblies are conducted in the school hall, with a special table set up with a candle and cross. One assembly a week is based in the classroom to allow each class to come together and share the occasion more intimately. James Rattue visits our school on a fortnightly basis to lead assemblies. We also have other visitors in to share their experiences with the children. A special bench is used in every assembly to recognise thoughtful contributions or particularly good behaviour. Every Friday we hold Celebration Assembly, which celebrates children’s successes. Certificates of achievement are awarded and all children participate in the school prayer. Parents who wish to exercise their right to withdraw their child from Religious Education or collective worship will need to contact the Headteacher to discuss arrangements for alternative provision.